Greece has been in the grip of a financial crisis for the last few years now and Greek heritage sites are hit the worst. There is however, an unseen, less well known crisis and it involves Greek palaeoanthropology – the study of hominin evolution. It is not so much a crisis as a metaphorical drought of artefacts and fossil evidence, which remains the best way to understand human evolution in Greece. An understanding of tectonic activity and the ever changing relationship between the Aegean Sea and mainland Greece are crucial to understanding why so little Lower Palaeolithic Hominin material has been discovered to date. 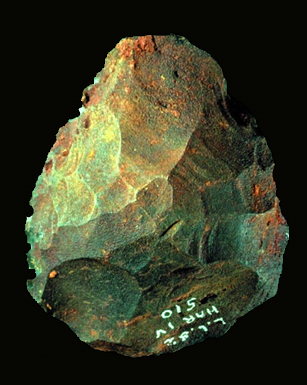 The Lower Palaeolithic of Europe lasted almost 2.6 million years from 2.6 ma (million years ago) to 300 ka (thousand years ago). The generally accepted paradigm, though disputed, involves the rise of a species of human called Homo sapiens from the Africa continent, a group which left Africa somewhere around 60 ka and 100 ka. A previous human, Homo ergaster originated in Africa about 1.9 ma and later evolved into Homo heidelbergensis, while Homo erectus evolved into Homo heidelbergensis in Europe. This is the current understanding and general overview of hominin evolution in Africa and Europe between 1.9 ma and 300 ka accepting that fossil record is incomplete and this is just one interpretation of many. The fossil record can be very fragmentary at times both temporally and spatially. The region of Greece and the Aegean Sea is a metaphorical black hole for hominin fossils. Yet this famous peninsula may have occupied a key biogeographic location in hominin evolution, supported by the Pleistocene archaeological evidence in the circum-Mediterranean region. archaeologists that wrote this paper, Tourloukis and Karkanas visited this site and spotted a retouched bifacial core dated to 207 ka, using the post-infrared Feldspar infrared stimulated luminescence (pIR IRSL) method. Many other artefacts were also found sticking out of the non-reworked deposits. The earliest evidence of humans on the islands of the Aegean dates between 110 ka to 72 ka (terminus ante quem or “limit before which”). Though these are surface finds associated with palaeosols and marine terraces of Plakias, Crete. The earliest fossil evidence of a human presence on the Greek mainland is a tooth (Upper Third Molar) from the basin of Megalopolis dating to between 950 ka to 300 ka, based upon combined palaeomagnetic, electron spin resonance (ESR) and biostratigraphic dating. The youngest piece of evidence dates back to between 400 and 105 ka, a date range only stratigraphic analysis can provide. Two fossils found at the little known site of Apidima, specifically Apidima 2 (A2) has more in common morphologically with Homo neanderthalensis than with the representatives of Homo heidelbergensis, particularly one of the most famous examples in the world – the Petralona cranium, the precursor to H. neanderthalensis. ESR dating provides us with a more reliable but wide age range for this fossil of between 350 ka and 150 ka. The dating of the evidence is abysmal, but it can be said with a lot of doubt that the Greek mainland was colonised by humans shortly after the one million year mark. You will notice the first three factors are intricately linked. Climate change refers to the fluvial action caused by torrential downpours of rain and general water flow that causes high amounts of sediment erosion and thus artefact leaching. The landscape of mainland Greece is composed of abrupt topography for the most part, making flash floods and large-scale floods a key factor in erosion on the Greek peninsula. Palaeoenvironmental analysis has shown that notable climate change events called Milankovitch-scale climate transitions have taken place characterised by increased flooding, increased mature stage river sediment build-up. In addition, mainland Greece has been tectonically active for many millions of years. The myriad of horsts and grabens developing since the late Pliocene, determined the distribution and extent of the basins of Greece, in turn determining the fluvial (River) drainage formats and lacustrine (Lake) locations, altering the rate of erosion from region to region. 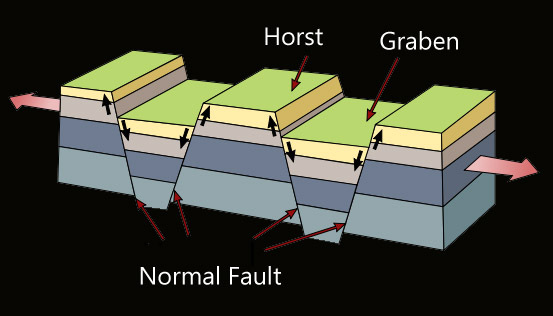 This geological activity has also protected artefact bearing-graben layers from erosion, but being buried many hundreds of metres below land surface is not ideal for archaeological prospection. The horsts provide us with an opportunity of finding anthropogenic layers, but these are experiencing erosion at a fast rate faster than archaeologists could get to them. Sea-level changes have fluctuated wildly over the past many millions of years. During Marine Isotope Stage (MIS) 7,8,9,10,11, roughly half of the Aegean was drying up, creating new areas of land for potential hominin colonisation possibly before 500 ka. The MIS is also known as the Oxygen Isotope Stage (OIS) and is calculated by a combination of radiometrically dating deep-sea cores, palaeomagnetic and extrapolated sedimentation rates. Check out The Human Career for more details. High resolution seismic reflection profiles covering the last four hundred thousand years showed a pattern of successive low sea-level events. The difficulty lies in determining by how much this factor effects the number of archaeological sites available for analysis. We know that there are areas of land that in the past were above sea-level, but are now 200m below modern day sea-level, like those Levallois-Mousterian stone tool debitage off the coast of Kerkyra in the Ionian Sea. What would these now submerged lands have looked like, a couple of hundred thousand years ago. Imagine the view we might get if we went back in time at this location on the island of Santorini. Plains as far as the eye can see, dotted with lagoons, marches and mammals including hominins. Imagine Santorini erupting, hundreds of thousands of years ago? Imagine Santorini, a majestic rock rising out of the plains. These are questions that science will for ever have trouble answering. Finally part of the reason for a lack of palaeoanthropological and archaeological material was the world preoccupation with all things Classical. Back when excavations took place in the Corinth valley at the end of the 19th century, the main factor that drove evolution was still up for debate. Charles Darwin’s mechanism of natural selection was for the most part rejected by the scientific community and the public were only beginning to take the foul tasting medicine that they were animals. So, you can understand why human evolution was not a top priority in archaeology. Hold habits die hard the obsession with Ancient Greece, did not help the establishment of human evolutionary research. Greece is now in a financial crisis and all heritage sites are suffering one way or another. This paper is a refreshing summary of knowledge we have accumulated to date about human occupation of the Greek peninsula and the Aegean region, but this is somewhat tempered by arbitrary 4% Lower Palaeolithic sites available for archaeological investigation.